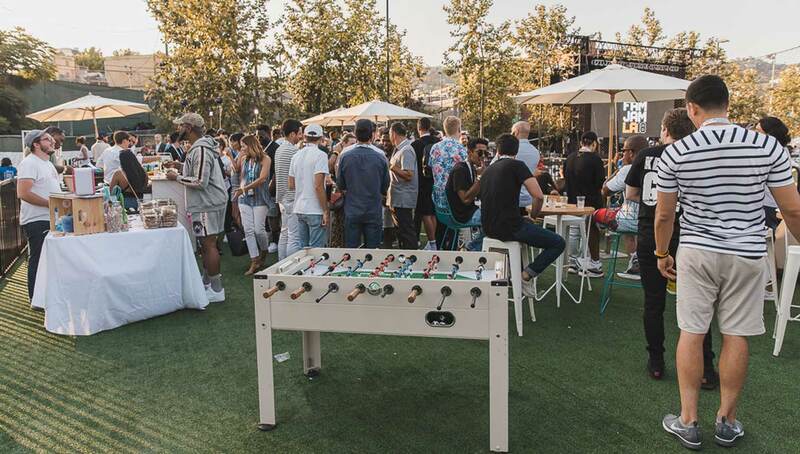 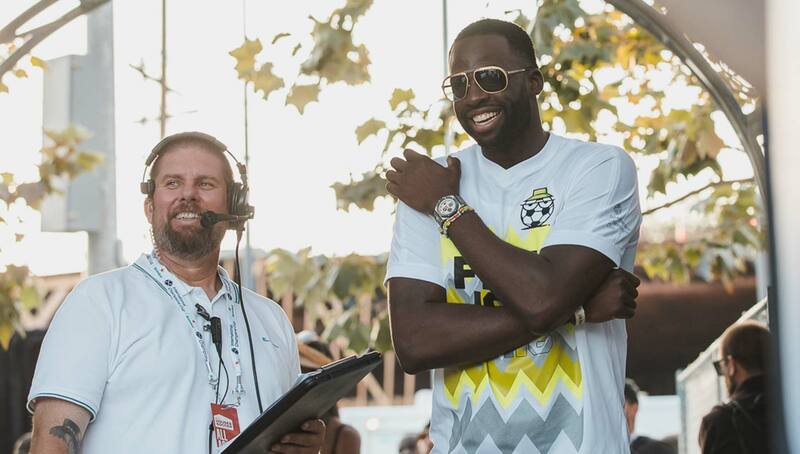 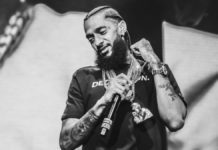 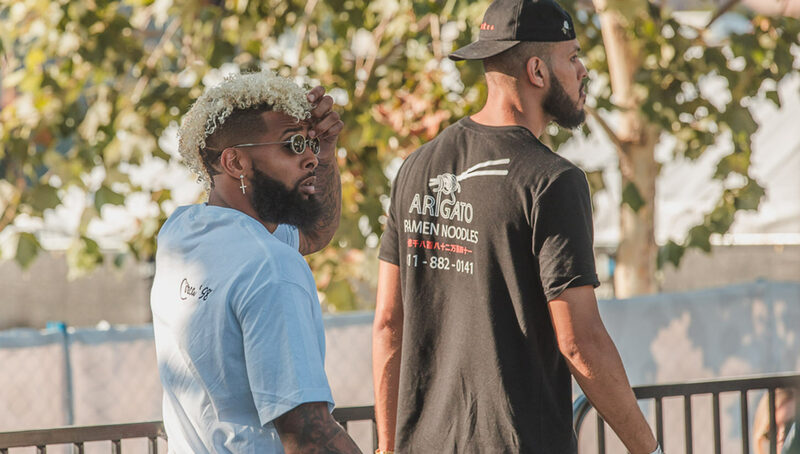 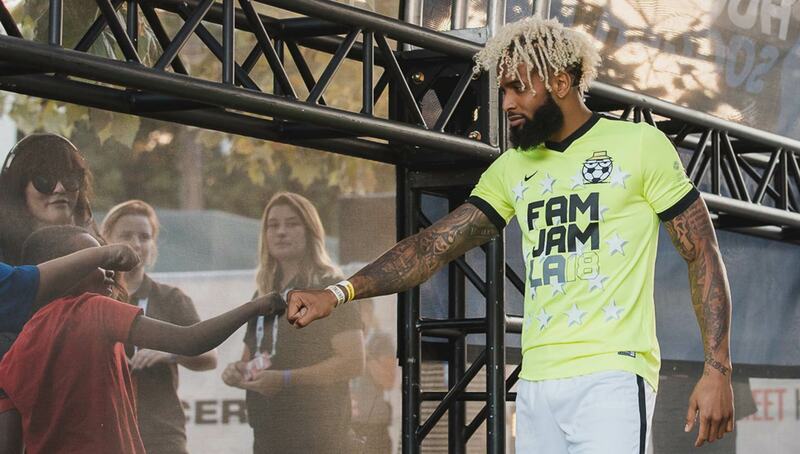 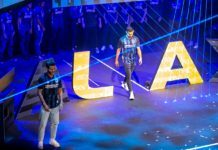 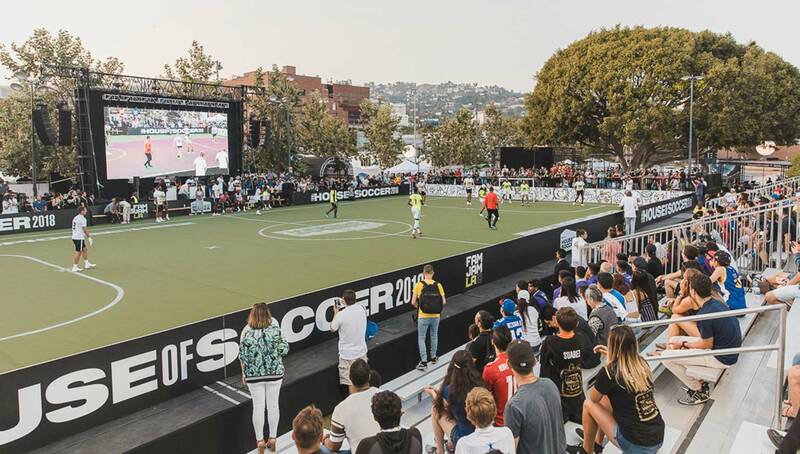 In the heart of West Hollywood, the International Champions Cup’s House of Soccer 2018 was a unique celebration of the beautiful game, concluding in a wild celebrity match that featured multiple balls in play at once, streakers, and a penalty kick showdown with team coaches Odell Beckham Jr. and Draymond Green. 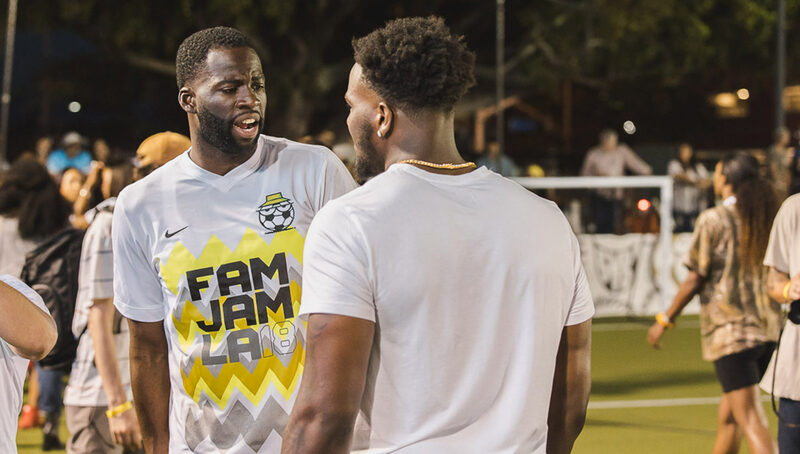 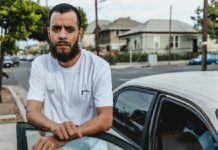 To celebrate the ongoing International Champions Cup, in which some of the world’s most prestigious clubs are going head-to-head all around the world, the House of Soccer 2018 stopped in West Hollywood for a day of five-a-side football, chill vibes, and plenty of celebrity appearances. 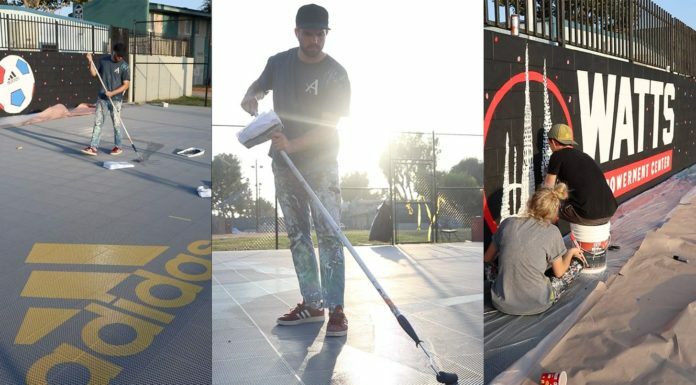 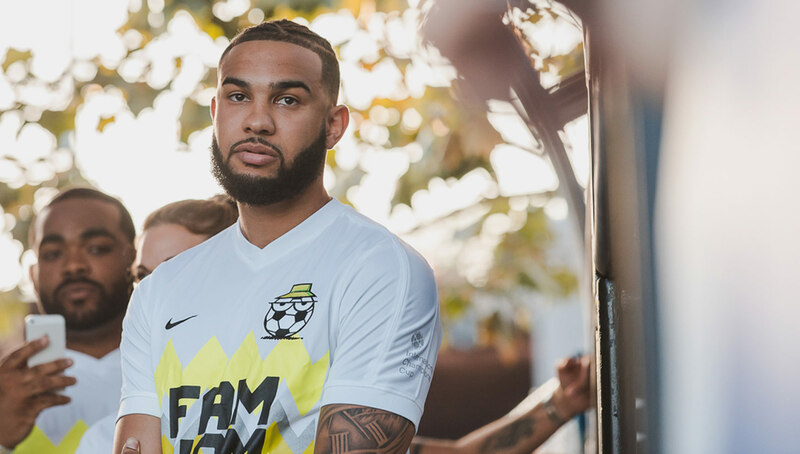 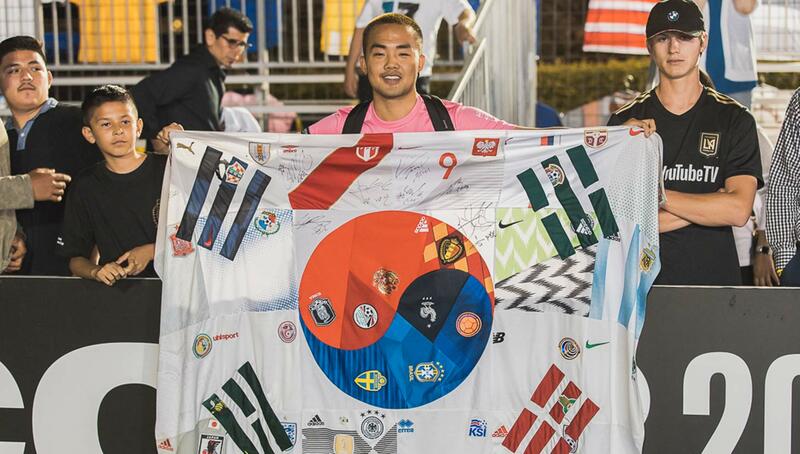 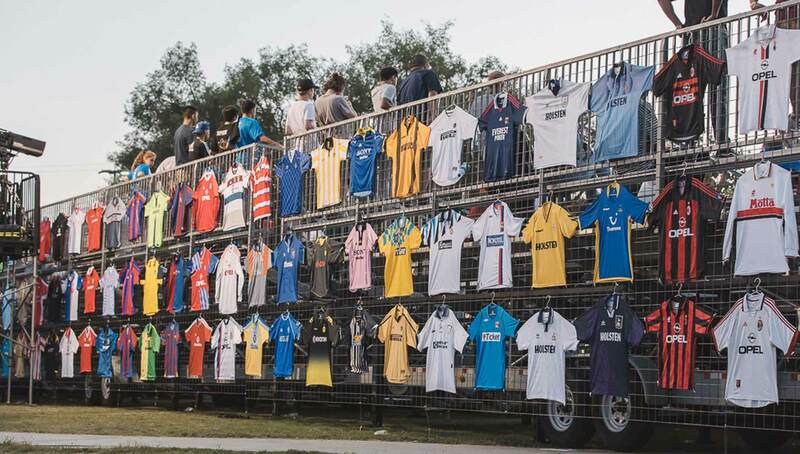 In addition to a 16U 5v5 tournament, the event featured a display of iconic club kits, a custom t-shirt station, and a mural unmistakably done by Kevin Lyons. 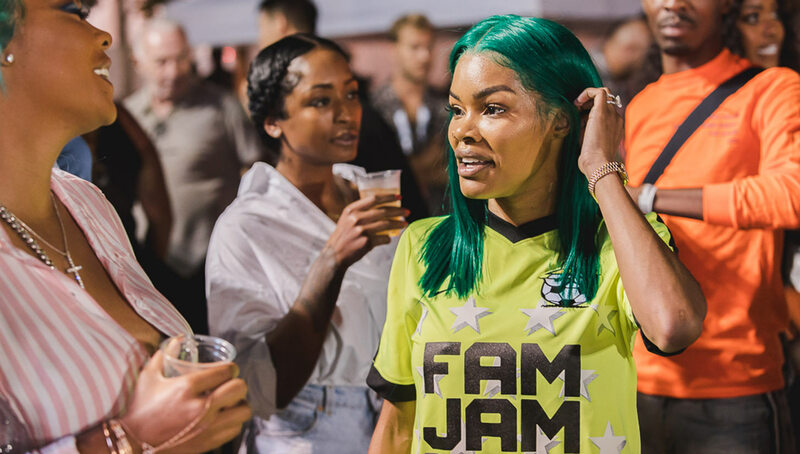 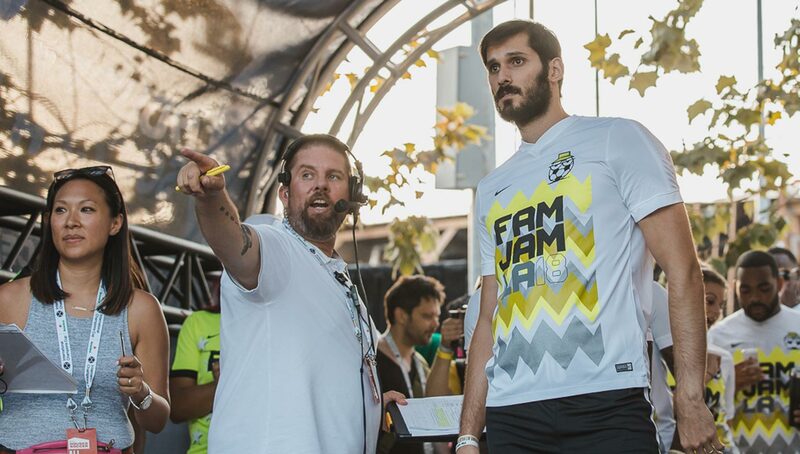 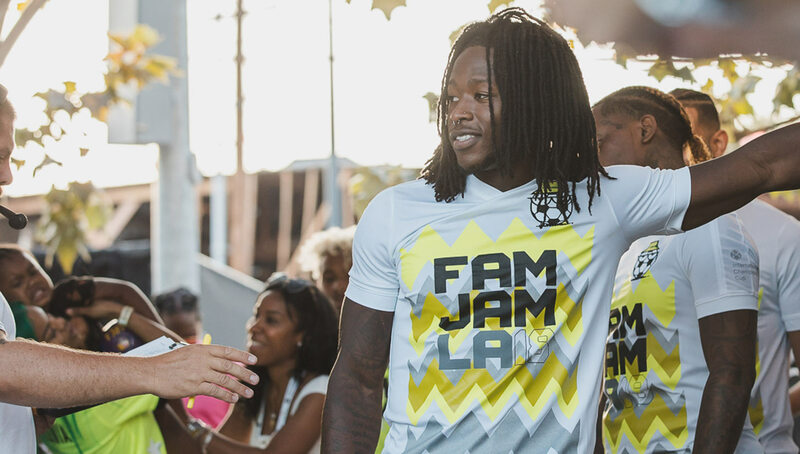 However, the highlight of the event was the Fam Jam celebrity match, which saw teams made up of current/former pro athletes, musicians, TV personalities, and comedians alike. 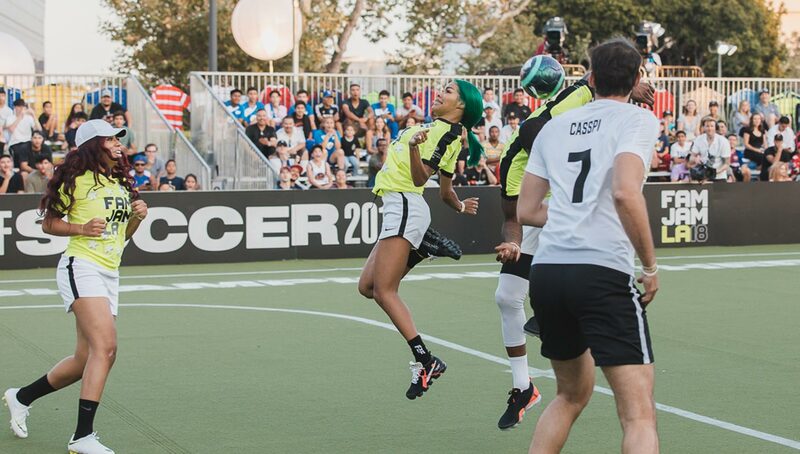 Coached by NBA All-Pro Draymond Green and NFL superstar Odell Beckham Jr., the game featured the likes of former AC Milan and Italian national team legend Paolo Maldini, olympic medalist and pro footballer Lauren Sesselmann, NBA players Cory Joseph and Kentavious Caldwell-Pope, NFL players Alvin Kamara and Victor Cruz, musicians Teyana Taylor and London on the Track, and ESPN anchor Cari Champion, among others. 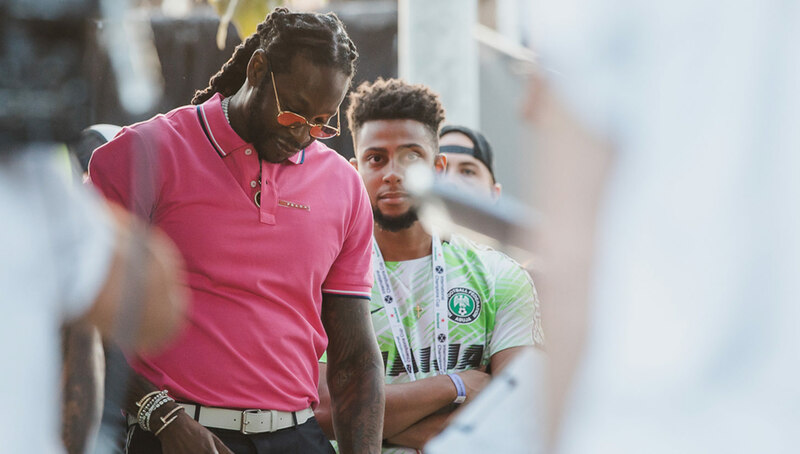 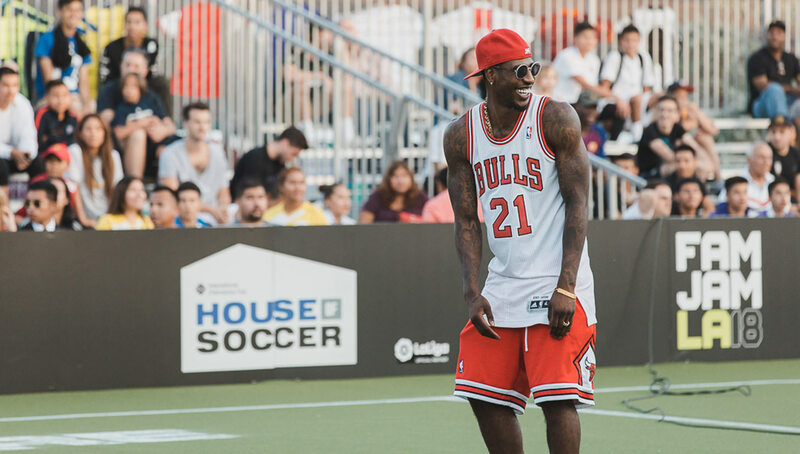 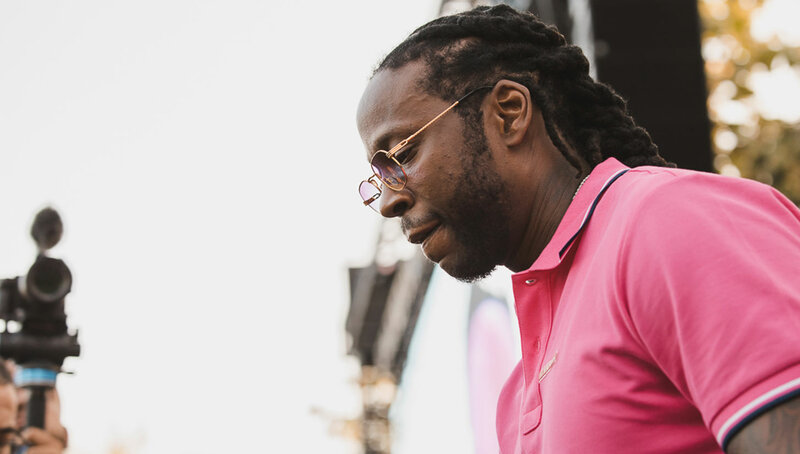 Also in attendance but not partaking in the match were rapper 2 Chainz, who showed up with his dog Trappy, and NBA player Iman Shumpert. 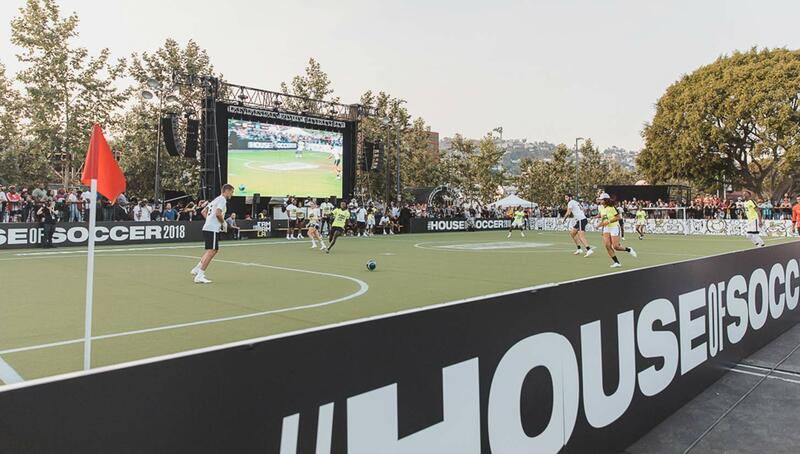 Although some of the participants proved they could ball (who knew Cory Joseph had tekkers? 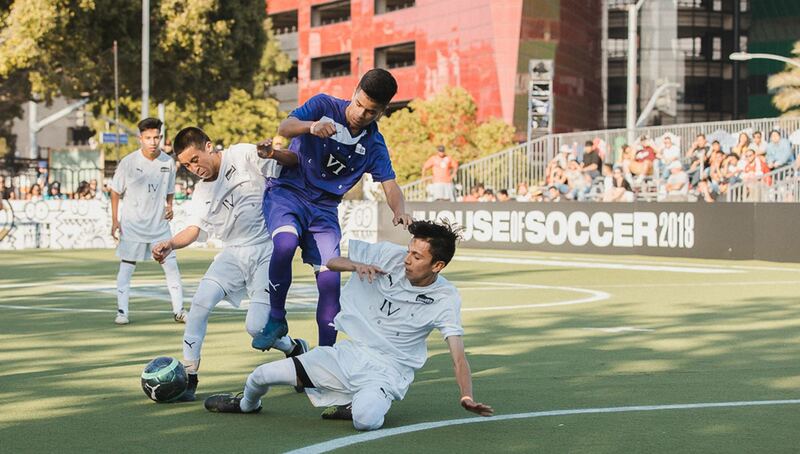 ), the majority of the game was played in a clumsy frenzy, clearly showing the lack of on-pitch experience from players on both rosters. 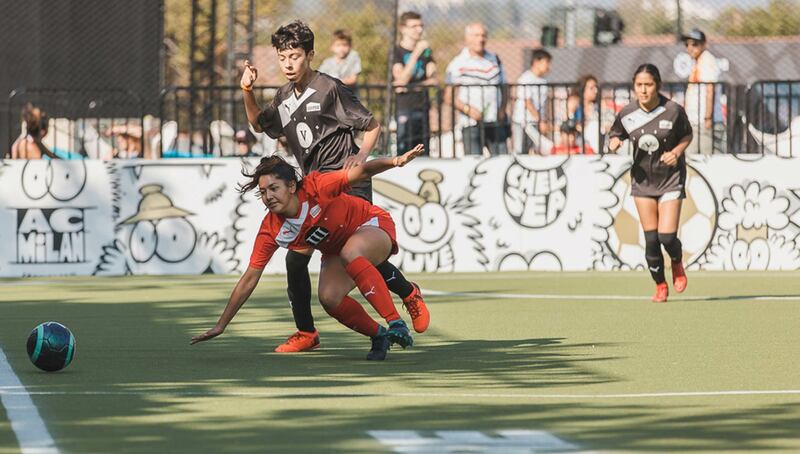 Adding to the chaos was the stretch of the game containing multiple balls in play, which was interrupted by a streaking ball thief in the form of Internet sensation Dancing Dan. 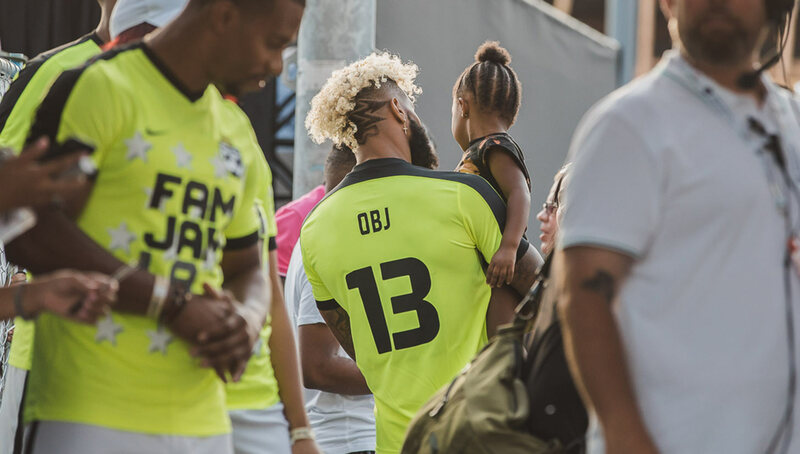 The chaos continued until the game’s conclusion, ending in a penalty kick showdown that saw OBJ netting the game-winning goal past Green. 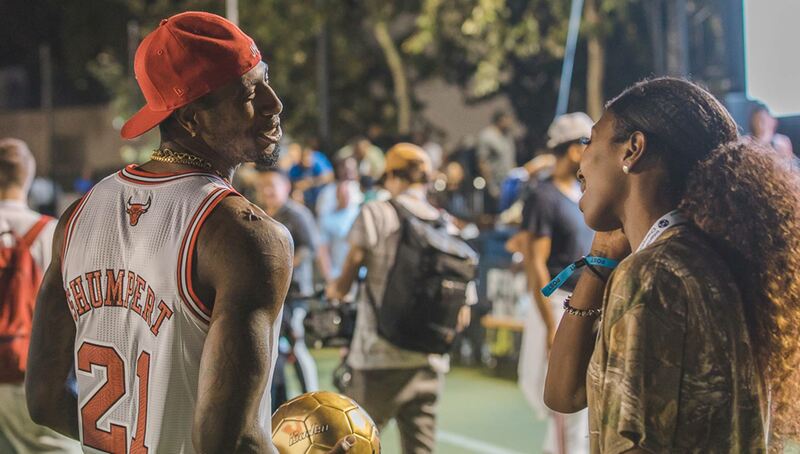 Winning MVP honors was Taylor, who fresh off the release of her sophomore album K.T.S.E. 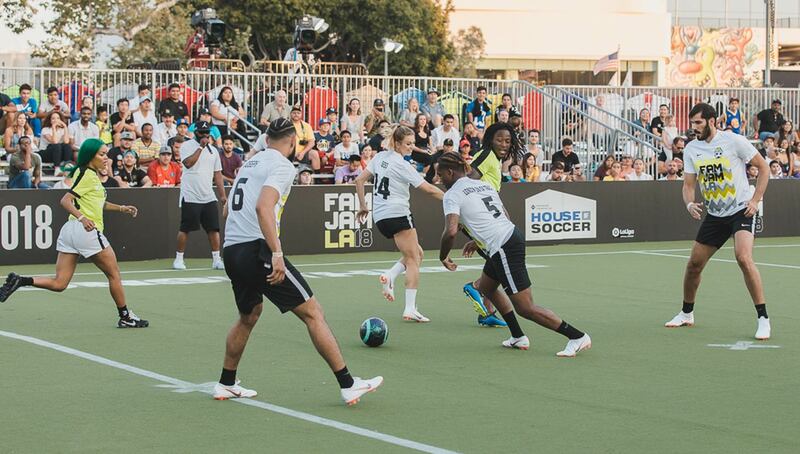 put on a defensive clinic, enthusiastically clearing any and every ball that came her way. 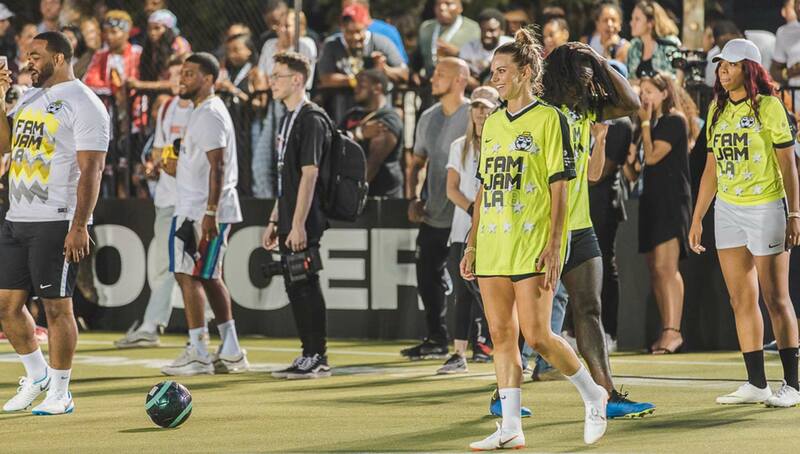 Despite all the chaos and less-than-stellar play, the event proved to be a good time, although we do hope that forthcoming celebrity football matches can find the perfect balance between hype and skill for their participants.